We often take for granted that the water we drink or shower in is safe and healthy but is it really? I used to think that by drinking water, bottled or tap, I was doing the best for my health. 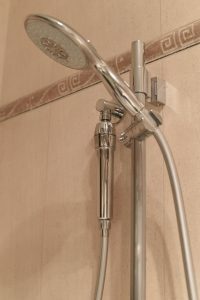 It was not until Sabrina, from Rawspirations, told me that she was installing a Reverse Osmosis system into her home that I realised there was a lot I did not know when it came to the water I was drinking and showering in. 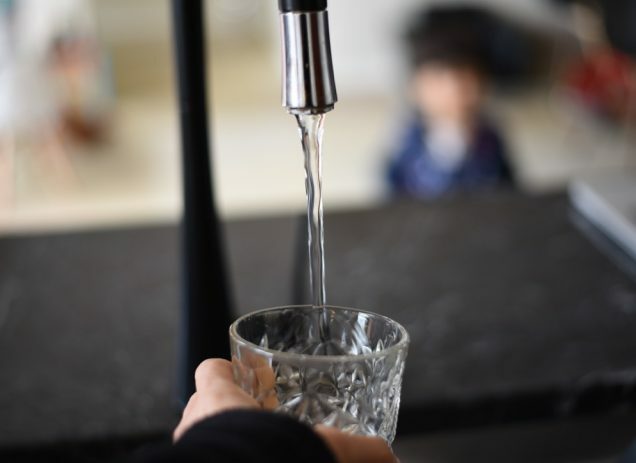 The most common contaminants found in tap water include: chlorine, fluoride, aluminium, water treatment chemicals, pesticides, herbicides, insecticides, fertilizers, rust, copper, lead, calcium, magnesium, parasites and bacteria. Take chlorine for example, a chemical prevalent in water supplies. When chlorine is absorbed into our skin through showering, bathing or swimming it can have a major impact on our body. The scalp naturally produces oil to protect hair from damage and daily wear but when showering in chlorinated water our hair becomes stripped of the oil, causing it to frizz and become brittle. By eliminating chlorine out of your water supply you are preventing dry and brittle hair, protecting colour treated hair and restoring body and shine into your hair. Chlorine can also strip away the natural oils found in our skin, causing it to dry and crack and lead to premature ageing. Not something we want ladies! By-products of chlorine have the most dangerous effect on the body, as they have been shown to cause cancer of the bladder, liver, stomach and colon, in addition to allergies, heart disease and high blood pressure. This is just one of the contaminants found in water that is being absorbed into our bodies! The easiest way to explain Reverse Osmosis is to first explain Osmosis. Osmosis is the movement of a low concentration solution through a semi permeable membrane into a high concentration solution, such as seawater or contaminated water. In Reverse Osmosis the idea is to use the membrane to act like an extremely fine filter to create pure drinking water from contaminated water. This is done by adding pressure to the contaminated water, reversing the osmotic process and forcing water molecules through the membrane. Within Reverse Osmosis systems the membrane is so fine that only particles or molecules smaller than 0.0005 microns can pass through to the other side of the membrane. Essentially leaving only water, while all the other contaminants, hormones, viruses and chemicals are flushed out. Just as a comparison so you can understand the size of 0.0005 microns, a human hair is 100 microns, the worlds smallest bacteria is 0.2 microns and the worlds smallest virus is 0.002 microns. It is safe to say that by installing a Reverse Osmosis system into your home you are consuming water more pure than natural spring water, at a tenth of the cost of bottled water and available whenever you need it. Sign me up to that! With a filtration system that advanced you may be wondering what happens to all the good minerals, do they get flushed out too? A common misconception is that drinking water is an important source of essential minerals for the human body. Whilst many minerals such as calcium, magnesium and sodium are obtained through drinking water, research has shown that only 3-4% of the minerals your body needs come from water and this can easily be replaced if you are eating a healthy and balanced diet. The main source of these essential minerals is from the food we eat and not the water we drink. 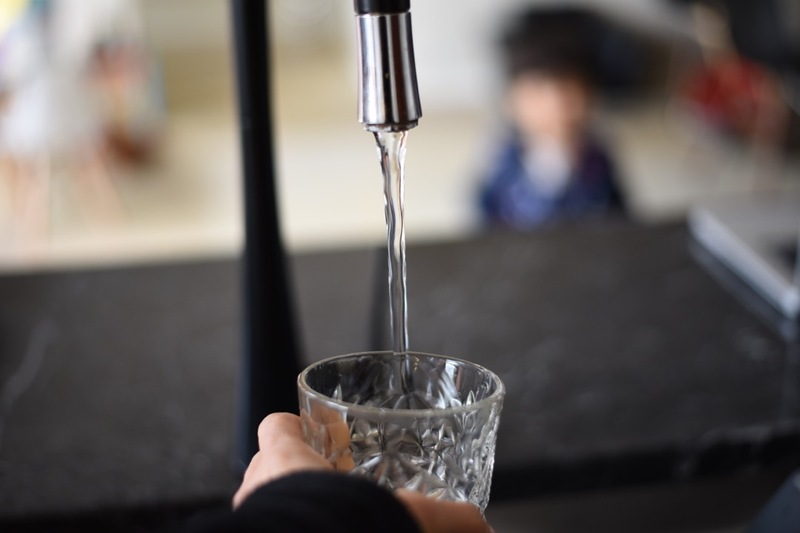 The people at Aqua Safe advocate that it is better to remove chemicals and pollutants from our drinking water, along with some essential nutrients than to drink unfiltered water and consume many of the cancer causing chemicals. The second biggest misconception about Reverse Osmosis systems is that they waste a lot more water than filtered water produced. 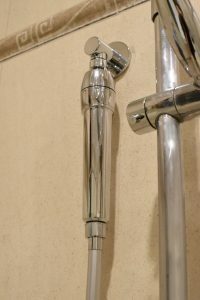 In order for the membrane to do its job properly and filter out all of the contaminants, it must be flushed out regularly. 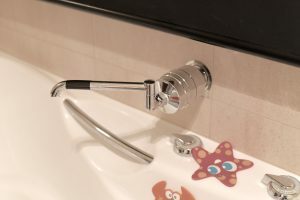 However the amount of excess water consumed is very low, with 1 litre of water equating to about 1-1.5 litres being flushed away. Which is equivalent to a single toilet flush or an extra minute in the shower for the average family. Aqua Safe recommend that people use the waste water on the gardens or lawn if they are concerned as opposed to consuming or showering in water filled with contaminants. As someone who used to rely heavily on bottled water, you may be thinking your safe. Unfortunately you are wrong. Despite bottled water being promoted as clean water straight from natural springs, in most brands this is not the case, with tap water simply being jazzed up with salts to give it a particular flavour (for an exuberant price). Despite their being an upfront cost for the water filter, this cost will soon be replaced within a few weeks as you will be saving on bottled water and the price of your health later down the track. Another reason Aqua Safe promote the use of pure filtered water as opposed to bottled water is that bottled water is typically very acidic, with a pH of around 4.0, which is not healthy for the human body. 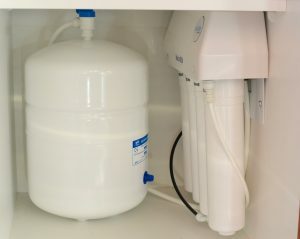 A good thing about the Reverse Osmosis system is that you can add pH filters and alter the alkalinity of the water. The human stomach is very acidic in order for it to be able to digest food, with a pH of around 4.0. If we eat and drink foods that are more alkaline in nature, the pH value of our stomach rises and causes our stomach to release hydrochloric acid, bringing the pH back down to around 4.0. However if we were to consume more acidic food and drink, such as bottled water, the stomach becomes even more acidic leaving no room for the pH of the body to rise. Due to the acidity of our bodies, regularly drinking alkaline water has been shown to have significant positive effects on our health as it gradually reduces accumulated acid wastes, reduces blood sugar levels and hypertension and improves liver function, ulcers and allergies such as asthma and dermatitis. The team at Aqua Safe carry the top of the range Reverse Osmosis systems, which retail anywhere between $255.00 and $943.00. Owing to their state of the art technology means that they are easy to install and require minimal maintenance and running costs. Once the systems are installed the only thing you need to do is change the cartridge every 1-2 years, which is as simple as a screw on and off process and will set you back about $70-$80. So before you take a shower, buy another bottle of water, or drink straight from the tap have a think about what exactly you are putting into your body. Head to Aqua Safe’s website, or talk to someone in their team about how you can further invest in the health and wellbeing of you and your family. 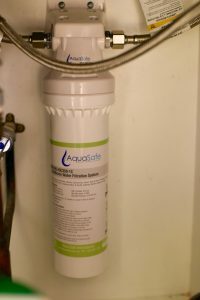 Aqua Safe is currently offering a 5% discount on the already heavily discounted ASRO4 Reverse Osmosis water filtration system that Sabrina has just installed in her home. To be eligible for this discount simply use or mention the code word; Rawspirations. *All information can be found on the Aqua Safe website.